WESTPORT — Fire officials are hoping their residents returning to college will be aware of the dangers of fires while at school. “Our goal at the Westport FD is to protect life and prevent death, injury and loos from fire — not just here in Westport, but wherever our residents may be,” officials said. The department said it urges parents and students to be aware of the potential dangers. 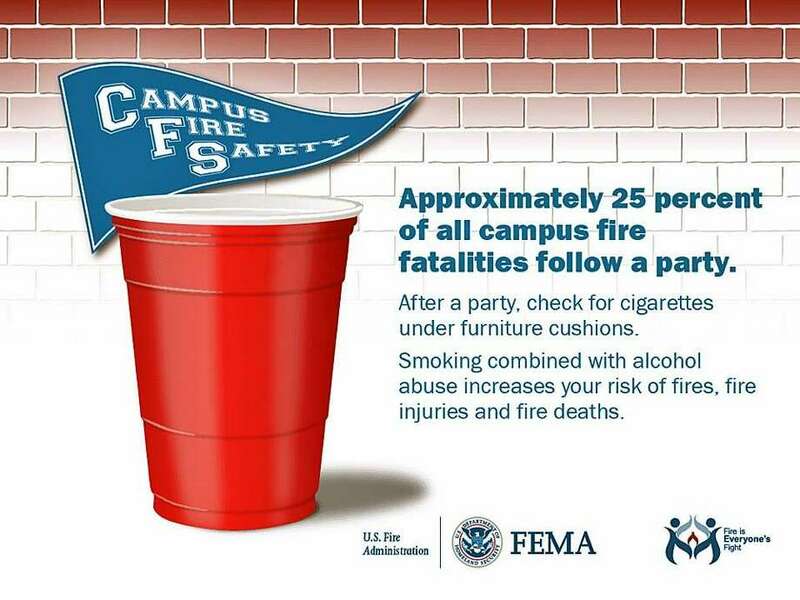 According to FEMA, about 25 percent of all campus fire fatalities follow a party. After a party, students should check under furniture and furniture cushions for cigarettes..
“Smoking combined with alcohol abuse increases your risk of fires, fire injuries and fire deaths,” FEMA said. Students should be able to prepare their escape in the case of a fire, ensuring they know at least two ways to get out of their dorm, house or apartment. Students should familiarize themselves with the building they move into as soon as they move in. They should also find the closest exits from their room. If a fire breaks out, fire officials encourage students to immediately call 911 and not to try to investigate. Every student room should be equipped with a fire extinguisher and a working smoke detector. Students are urged to keep a working flashlight on their bedside table. Anyone with questions or in need of more information can contact Westport Fire Marshal Nathaniel Gibbons at 203-341-5020. For more reading material, visit www.usfa.fema.gov/prevention/outreach/college.html.